This recipe was created by Karen Wiens on 12/12/16. This is Connie’s mother, Lorraine’s, old family recipe. We videotaped the process to show you how it’s done. 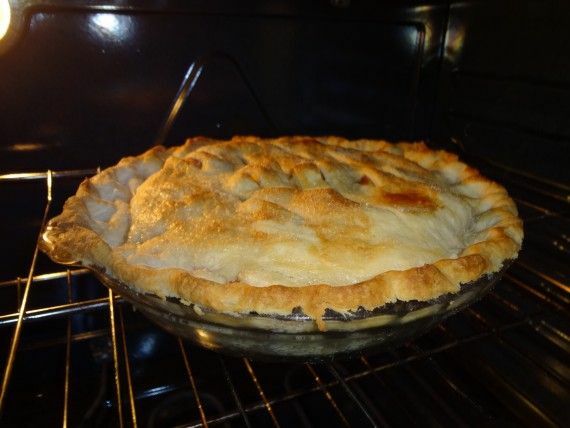 This pie crust is vegan and super flaky and delicious. Add flour, salt and shortening to a bowl. Cut in shortening finely. Add cold water a little at a time until dough is soft and pliable. Divide and roll for top and bottom crusts. Amounts are per serving, based on 8 servings.